YOU’RE IN A VEHICLE ACCIDENT! WHAT DO I DO NOW? If you’ve been injured in a vehicle-related accident, and it was the result of someone else’s negligent or reckless behavior, you need a PERSONAL INJURY Attorney who knows and understands your rights to claim compensation for your DAMAGES. The Law Offices, STEFAN ROBERT PANCER, will attempt to make sure you get a fair and equitable settlement. If you are unable to travel due to the loss of your vehicle or due to your injuries, no worries, we can come to you and meet in your home, office, coffee shop, or hospital. Remember, if you or someone you know has been injured as the result of another person’s negligent or reckless behavior, you need a PERSONAL INJURY ATTORNEY who knows and understands your rights. STEFAN PANCER has successfully handled personal injury cases in San Bernardino County, Riverside County, Los Angeles, and Orange County for the past 30 plus years. Call the Police. When they arrive, ask them to take a “Vehicle Accident Report”. If you are injured, call 911 for an ambulance or ask the first responders to call for medical treatment. 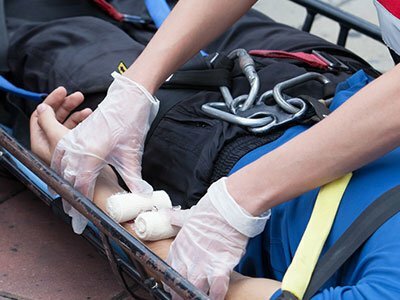 If you wait to treat at an Emergency Room or Urgent Care Facility another time, the other parties’ insurance company may not believe you were injured in the accident. Exchange Information with all the other drivers. Demand to see their drivers license, their insurance information, and get their vehicle license number. If you have a cell phone camera available, take photos of the information received from ALL the other drives in the accident. Also, IT IS VERY IMPORTANT TO TAKE PHOTOS OF ALL THE VEHICLES INVOLVED IN THE ACCIDENT. Make sure the photos show all the damages to your vehicle as well as the other vehicles. Make sure the photos show the License Plates of each of the vehicle. If you are unable to take the photos due to your injury, call for a friend or relative to come to the accident scene to help take the photos. Preserve the photos by sending them to an email for storage and eventually forwarding them to the PERSONAL INJURY ATTORNEY. Remember, a picture is worth a thousand words….. The next step is to seek medical attention for your injuries. Consult with a medical professional to establish your injuries the SAME DAY. This is not the time to BE BRAVE, seek out medical help immediately. If you do not go to the Emergency Department of your local hospital, or Urgent Care Facility, then go see your primary doctor As Soon As Possible. Generally, you will feel worse each passing hour. The more damage to your vehicle, the more likely you have an injury. Seek out medical help immediately. This will also confirm your injury with the insurance companies. Next, seek out a qualified, PERSONAL INJURY ATTORNEY who can realistically determine the best course of action for your case. Mr. Pancer will walk you through each possibility, step by step; Mr. Pancer will advise you whether your case has merit and if a settlement or a potential lawsuit is deemed to be justifiable. Mr. Pancer will represent your interests with the insurance companies throughout the Negotiation process and if appropriate to file a lawsuit, he can represent you in court. The fight will be to get you the appropriate compensation recovery possible. Mr. Pancer has collected millions of dollars in personal injury settlements and personal injury verdicts. To date, Mr. Pancer’s recovery rate on behalf of his clients is over 90%. Every case is different. The value of the claim depends on many legal factors. That is why you need an Experienced Personal Injury Lawyer like Mr. Pancer to get through the process of settlement. More often than not, our clients have little or no prior experience with litigation (or lawsuits). Nor do they realize that they have the right to seek damages from the person whose negligence (FAULT) caused them harm. You may have suffered a physical injury (ex: broken bones, a concussion, etc. ), internal injuries from an auto accident or other forms of injury such as Whip Lash or painful Back Spasm for which, generally, you are entitled compensation for those types of injuries. Not all personal injury lawyers are created equal, however. At the LAW OFFICES, STEFAN ROBERT PANCER, P.C., we believe strongly in our ability to recover the maximum compensation for each of our clients whom we represent on a contingency fee basis. That means that, as a personal injury client, you pay NO ATTORNEY FEES, until and unless we recover compensation (MONEY) on your case. Our belief is that you’ve already suffered enough in the accident. You will probably continue to suffer damages. Worrying about payment of money to you from the Insurance Company(s) and whether it is an appropriate amount just burdens you with more STRESS. Your job after an accident will be to contact a Competent Law Firm to have representation regarding your claim(s) and case. That will take away all of the other concerns and then you can concentrate on getting well along with your medical treatment. Across the State of California, thousands of people are injured or killed in car accidents each year. Unfortunately, insurance companies usually are not always on your side – They are on Their Side. They end up offering insufficient settlements or based on the facts of the accident or insurance coverage, they may look for ways to actually deny your claim leaving you without recourse. Whether you are the driver or passenger in a car, motorcycle, truck or bicycle and you are in an accident and are injured, you may be entitled to some form of compensation, assuming the accident is not your fault: Lost wages, damages to your property, reimbursement of out of pocket Medical Bills paid by you, Loss of Future Earning Capacity, and Damages related to your Pain and Suffering are potentially compensable. That would also apply to any passengers riding in the vehicle with you at the time of the accident. If the passengers are minor children, it means it is even more important to have a qualified Personal Injury Law Firm represent everyone’s interests. If you, or someone you know, has been injured in a car accident, and it was not their fault contact the, LAW OFFICES, STEFAN ROBERT PANCER, P.C., TODAY. We stand up to the insurance industry, on your behalf, making sure you are compensated for your damages and injuries in your car accident case. Learn more about what to do after a car accident.